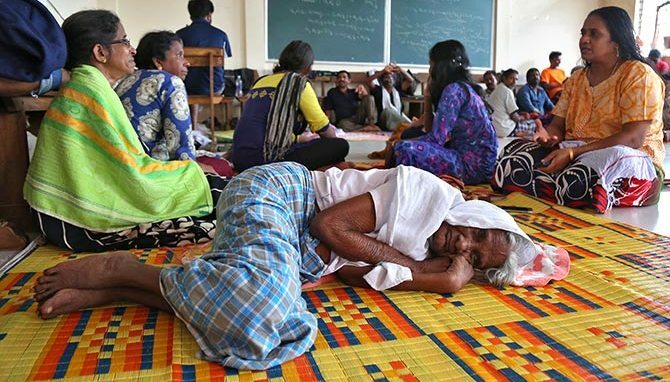 Thiruvananthapuram:A month after Kerala was devastated by unprecedented rains and floods, 4,778 people are still in 120 relief camps, authorities said Tuesday. According to the Disaster Management State Control Room, the rains and floods have claimed 491 lives since May 29 while 14 persons remain missing. At the height of the deluge, there were 14.50 lakh people in over 3,000 relief camps. While Kasargode district was virtually left untouched, the capital district suffered minor damage. The worst hit districts included Alappuzha, Idukki, Pathanamthitta, Ernakulam, Thrissur, Kozhikode and Wayanad besides parts of Kannur, Palakkad, Malappuram, Kottayam and Kollam. A total of 1,738 persons are in 55 camps in Thrissur district and 1,702 in Alappuzha.